10-14 night cruise and to the Royal town of Windsor and visit its famous castle and Legoland & to Oxford, The City of Dreaming Spires, famous the world over for its University and place in history. Go past Marlow & Henley on Thames and through Reading. Windsor castle is the largest inhabited castle in the World, established by William the Conqueror during the 1070's the present castle was started by Henry11 during 1165-1179. It has been meticulously restored after the disastrous fire in 1992. LEGOLAND Windsor is a theme park dedicated to children aged 3-12 years old. An inspirational land where the kids are the hero. 10-14 night cruise and to the Royal town of Windsor and visit its famous castle and Legoland & to Oxford, The City of Dreaming Spires, famous the world over for its University and place in history. Go past Marlow & Henley on Thames and through Reading. This cruise will involve River cruising beyond Reading on the River Thames, which requires an additional licence for some hire boats that don't already have it which can be bought at the lock at the junction of the canal and Thames. On the Thames the locks are done for you . You cannot cruise beyond Teddington to Brentford unless you are very experienced. From the marina cruise East, Padworth Lock will soon be reached. are a series of gravel pits offering a wildlife haven, the canal continues through wooded fields past the village of Sulhamstead. The nature reserves of Cumber lake to the North and Woolwich Green lake to the south can be reached by a short walk from Sulhamstead Lock. There is a swing bridge at Theale, the village is ¾ mile to the north, there are a few pubs, stores, garage, and a chemist and a bank in the quiet village. It is just under 3 hours to here, and an ideal place to stop for your 1st night. The peace of the surroundings is momentarily interrupted as you go under the M4 motorway, but on the outskirts of Reading the water filled nature reserve gravel pits bring a degree of serenity. inc. The Museum of English Rural life, also Reading Museum, & 12th century Abbey ruins. There are 2 big shopping centres, the Oracle and Broad St Mall, which includes big High Street names, and independent shops. The River museum is by Blakes Lock, housed in the city's old sewerage pumping station, displays include a gipsy caravan. The old turbine house has lovely views over the River. RIVER THAMES LICENCE- From Inglesham to Teddington the narrowboat has to be registered with the Environment Agency and must display a current licence, some boats already have this. 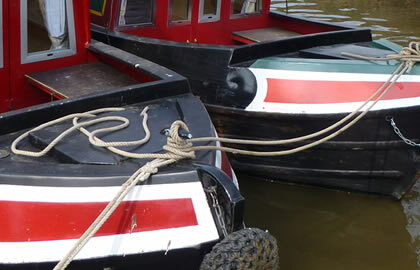 Short period registrations are available for boats visiting the River Thames, and can be obtained at many of the locks as you come onto the River, or telephone in advance or download a application form from (contact info under useful links). The speed limit is 5 miles per hour. You leave the Kennet & Avon Canal just beyond Blakes Lock and enter the River Thames. Passing the large water filled gravel pits on your left, you will soon reach Sonning Lock. The Village, which lies back from the River, is a pretty meticulously preserved village & has a PO, stores, pubs and cafe. There is mooring beyond Sonning Bridge. The river continues weaving its way through a series of islands to Shipway lock. Beyond Marsh Lock the famous rowing town of Henley on Thames is reached. There is mooring before and after Henley bridge. This is a good place to moor up for the night, it is nearly 7 hours cruising from Theale to here. Leaving Henley the River passes Hambleden (moorings) and Hurley, a small village that has a couple of pubs. At Marlow you will see the elegant white Marlow suspension bridge with the lock just beyond. There are moorings before the bridge. Marlow is a very lively and handsome Georgian town. West street at the top of the High street has many literary associations, Thomas Peacock wrote Nightmare Abbey at No 47, Shelley wrote Revolt to Islamin Albion House, and his wife Mary Godwin created Frankenstein here. TS Eliot also lived here for a while. Soon Maidenhead is reached, and the riverside is busy and attractive. There are moorings beyond Boulters Lock, or Maidenhead Railway bridge. Maidenhead is a dormitory surburb of London with much new development, and has many shops, pubs and restaurants. Beyond Bray Lock & The M4 bridge, is Monkey island with its smart Hotel, but which was once the fishing lodge and pavilion of the 3rd Duke of Marlborough built in 1744 on rubble salvaged from the Great Fire of London . To the north of Summer Leaze bridge is Dorney Court and Church, a gabled and timbered Tudor manor House built c.1440. The house has many original features and contains fine furniture and paintings. The outskirts of Windsor are reached, the racecourse on your right is the only figure of 8 course in the country;- there are horse racing fixtures throughout the year. There are moorings before or after Windsor railway Bridge, Windsor is to the south of the River, Eton to the North. It is 8 hours cruising from Henley to here. • The Drawings Gallery featuring an exhibition (see below for current display). Across Windsor bridge is Eton, the long and rambling High Street is a pleasant place to walk, Eton College was founded in 1440 by Henry VI and 18 former Prime Ministers have been educated here. It is 13 hours cruising to Caversham Bridge in Reading. Go past the turning to the Kennet & Avon Canal at Reading and moor up instead just past Reading Bridge or Caversham Bridge. From Caversham bridge cruise up the Thames towards Oxford. The wide reach above Whitchurch is often busy with sailing and rowing boats from Pangbourne College. The Thames enters open farmland and one of its most pretty stretches. Beale Park , to your left, covers 300 acres of water meadows, and the bird collection includes peacocks, flamingoes, parrots, and rare owls. Open March-Dec 10.00-18.00. There is mooring here, also nearby is Basildon Park & house. Now run by the National trust, built around 1776, this is the most splendid Palladian mansion in Berkshire. Open Wed-Sun 13.00-17.30 April -Oct. Also gardens and woodland walks. 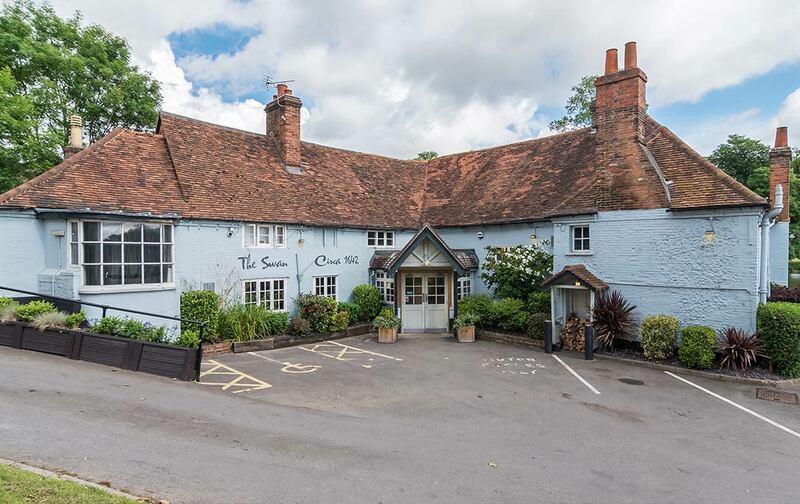 Goring is set in a splendid deep wooded valley by one of the most spectacular reaches on the River. The Church Bell dates from 1290 and is one of the oldest in England. There are moorings before Goring bridge. It is 3.25 hours from Caversham bridge to here. The River followsopen countryside again, with just Goring Lock and Cleeve Lock to negotiate in the next couple of hours until you reach Wallingford. Moorings just past Wallingford Bridge. The River Thames turns west and north to take a wide berth around the Roman town of Dorchester, passing the massive 114 acres of earthworks known as Dyke Hills. There are moorings at Clifton Hampden bridge also there is a Pub here – the Barlow mow. The Thames continues to make its winding way up to Abingdon, there are moorings just before the bridge. It is 7 hours cruising from Goring Bridge to Abingdon. The Thames then passes through open countryside on its final stretch up to Oxford. It is a lovely stretch of urban waterway up to Osney Bridge, with terraced houses facing the river. The river is much used by rowing clubs and small boats so care should be taken. There are moorings below Osney Bridge, above Sheepwash channel, or if you want out of town moorings- at Binsey and you can stroll back into Oxford. 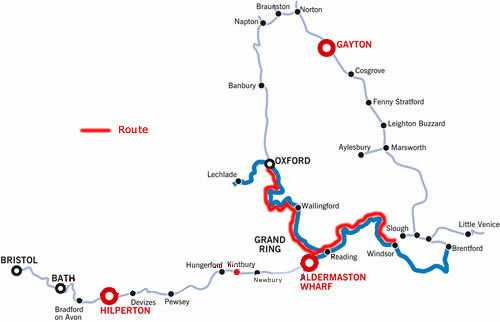 It will take 4.25 hours to reach Oxford from Goring. Christ Church cathedral is mainly 12 century with later additions. The Ashmolean museum is one of the oldest public museums in Britain and one of the most rewarding outside of London. It opened in 1683 and has an outstanding collection of Eastern and European archaeology, also 17th and 18th century silver collection, and a vast display of coins, and also drawings by Michelangelo, Leonardi da Vinci and Rubens. The University Museum\'s interior is a forest of columns and skeletons and houses the very rare head and claw of the extinct dodo. It is 23 hours back to Aldermaston Wharf from Oxford , so about 6 hours cruising per day and plenty of time to stop and visit all those places you saw on the way up!! On a 10 night cruise you will not have so much time to explore Windsor so cut out the sightseeing on Day 4 and days 5/6/7 can be done over 2 days, and days 9 onwards can be done over 3/4 days. To extend your cruising, go past Windsor to Teddington which is just the other side of Kingston upon Thames which is an extra 19 hours cruising there & back. For Thrill seekers Thorpe Park is at Chertsey. Or in the other direction go past Oxford to Lechlade- the end of the Thames navigation add an extra 24 hours for the trip.